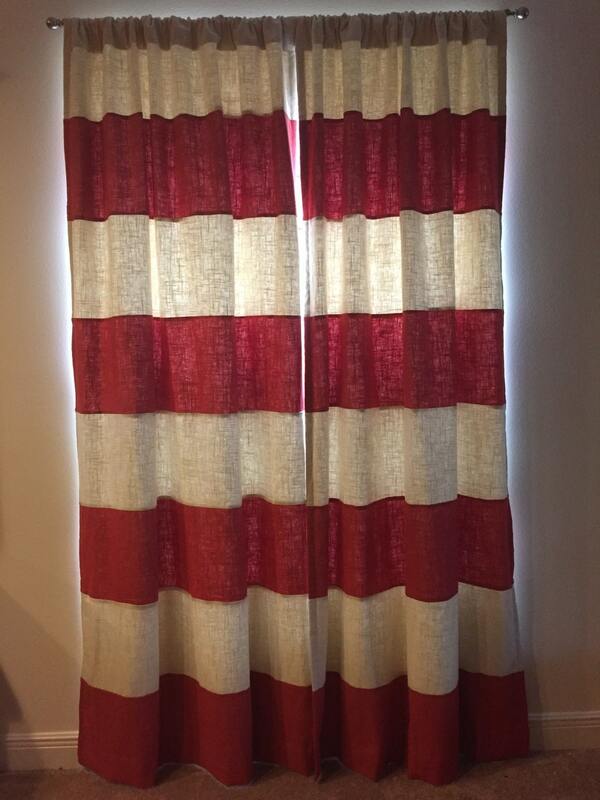 This Salsa red and ivory color stripe linen drape set has a thermal suede lining and is available ready to ship in a pole pocket style as pictured. The pair in stock and ready to ship is 50% off! If you need these in a different size message us for a custom order.